The Universal Service Fund (USF) has spent around Rs 56.418 billion to provide telecommunication services across the country, but some of the un-served and under-served areas in Balochistan as well as South Waziristan and Kurram districts of Khyber Pakhtunkhwa still lack access to basic telephony and mobile broadband services. USF was created in 2007 to stretch cellular, broadband internet, fibre optics and other telecommunication services to un-served or underserved areas. All telecom companies have been contributing 1.5 percent of their revenues to the fund. 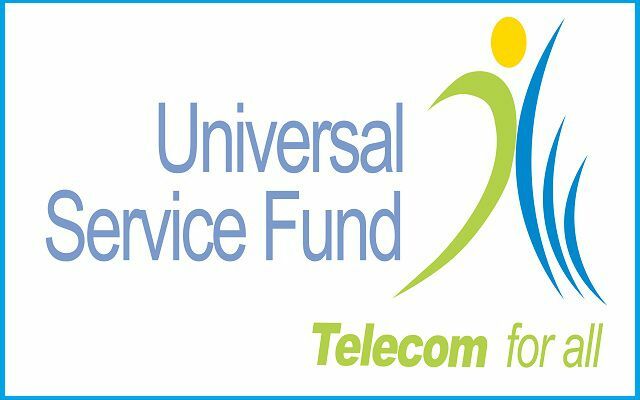 Officials revealed that USF has over Rs 32 billion in balance and spent Rs 56.418 billion during the last ten years for the expansion of telecommunication services to the under-served and un-served areas of the country. According to the sources such areas which do not support business plans of telecom operators, government subsidizes projects to reach the under-served and un-served. According to documents, of the total Rs 56.418 billion subsidy, Ufone took major chunk of subsidy i.e. Rs 17.12 billion (30.4 percent), PTCL –Rs 14.66 billion (26 percent) Telenor –Rs13.38 billion (23.7 percent), Zong—Rs 4.55 billion (8.1 percent), Wateen –Rs 3.717 (6.6 percent), World Call –Rs 1.134 billion (2 percent) and Mobilink –Rs 190.06 million (0.34 percent). Telecommunication coverage was around 44 percent before USF-2006-07 which reached around 75 percent during the last ten years while covering 6225 un-served mauzas. Broadband for sustainable development program under the USF is designed to provide telecom services to the unserved Mauzas across the country. After issuance of 3G/4G licenses by the Federal Government, this programme has been redesigned to include the broadband equivalent data (internet) services as a compulsory component. For new projects, powering of telecommunication site through Solar Energy was also made a part of each project. According to documents, 844 BTS have been installed and 6225 Mauzas have been covered. Optic Fibre Program is another initiative under USF aims to promote development of telecommunication services in un-served and under-served rural areas of Pakistan to make available and affordable, the voice telephony and basic data services, throughout the length and breadth of the country. This requires also the establishment of a stable and reliable Optic Fibre Network in all corners of the country. This project aims to extend the Optic Fibre connectivity to the un-served Tehsil HQs in Pakistan, for meeting the growing requirements of Voice, Data and Video in these areas. Extending Fibre cables to Tehsils helps the telecom service providers in extending all kinds of telecom services to those areas. It is like building information motor-ways to all Tehsils. Under this program, 6447 km Optic Fiber has been laid while 56 Tehsils and 26 Towns have been connected. Under the special projects, several initiatives have been started including ICTs for Girls, Establishment of 13 Computer Labs in Selected Institutions, Enabling persons with disabilities to use telecom services, Telemedicine Network & Services, Establishment of Telecenters, and Empowerment of Craft SME/MSMEs through e-Commerce: Developing and Managing the Value Chain. USF officials maintained that despite massive growth there were many areas that remained underserved. The challenges, they asserted, that the USF faced were rugged terrains, sparse population, harsh weather, lack of electricity, no backhaul, and poor logistics as well as security clearance. Some of these areas include South Waziristan, North Waziristan, Orakzai, Kurram Jhal Magsi, Dera Bugti, Nasirabad and Jaffarabad that are not being catered.